Please don't forget to check out all of our flashlight reviews! Dual Output LED flashlight with 5 / 500 Lumens. Surefire is one of the most well known brands with it's military grade flashlights. 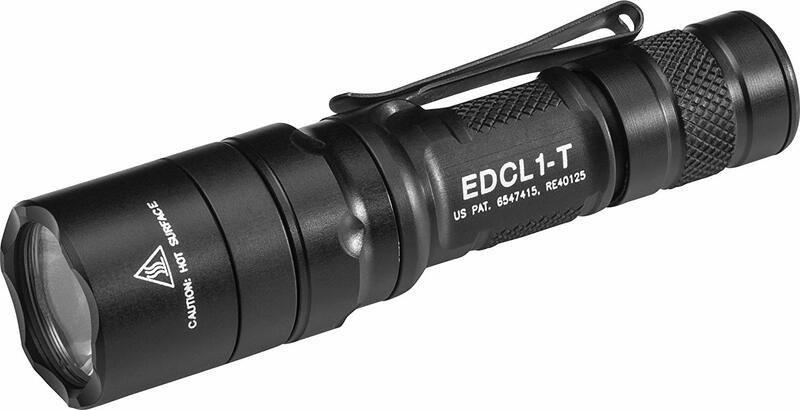 The EDCL1-T is named an EDC (everyday carry) light, but it has momentary ON as well, and can therefore be used as a Tactical Flashlight. The difference between a normal tactical flashlight and the EDCL1-T is that it doesn't have a normal switch that will click for on or off. Half pressing the switch will give you 5 lumens, while a fully press will give you 500 lumens, but you'd have to twist the tailcap for contious on. When you depress the switch it will just turn off, so there is no "click'. You really have to twist the tailcap in order to use it continuously. The included clip permits the light to be carreid bezel up and down by moving the clip's direction. Its bigger brother (EDCL2-T) has a max output of 1200 Lumens, but it's larger. Built for tactical operation, one touch access! The Klarus XT1A is one of the very few real tactical flashlights that run of AA batteries. Initially launced in 2018, it has found quite a bit of favor in the flashlight community. The included 14500 lithium battery has a micro charger built in, so you can directly charge the battery with a Micro USB cable. Any 5V USB phone charger should work. Although they seem to advertise it to be compatible with all kinds of AA batteries, we do never recommend using Alkaline batteries in flashlights! The Dual programming setting is great if you want to use it for EDC as well. Currently one of the most powerful 2AA tactical flashlights available. Although the Thrunite Archer 2A v3 is already a little dated, there is not much in this category that can surpass it. The Thurnite Archer 2A V3 is currently the latest 2AA tactical flashlight Thrunite produced. The tail switch is used to activate and deactivate the ligh, while the side switch is used to change its output. This means that the tail cap switch can be used for Momentary mode! It has 4 main modes and Strobe. You can access strobe by doing a long press with the side switch. 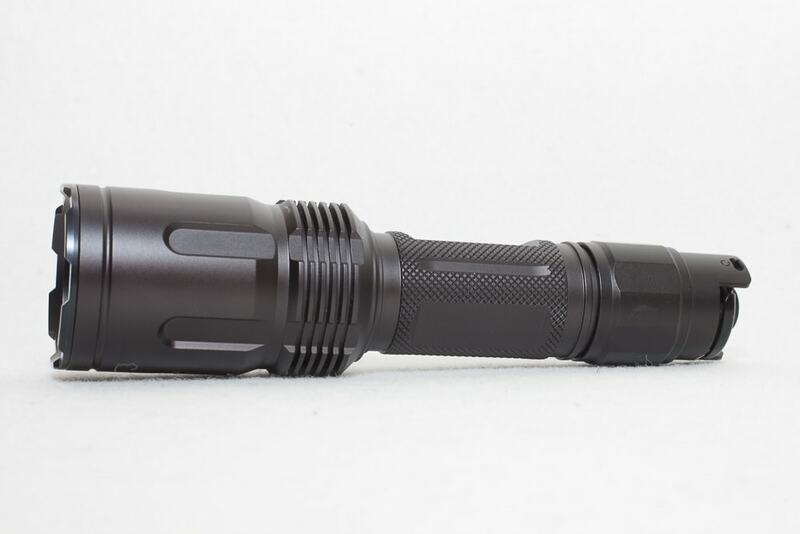 If you are looking for a tactical 2AA flashlight, you can't go wrong with the Archer. The Astrolux FT01 is a heck of a light. Both powerful and good looking! Launced in 2018, this is definitely a good flashlight in my opinion. Although it doesnt have direct access to Strobe, it can still be used momentary. Simply press the tail switch to blind your attacker. If it didn't have momentary on, nor direct access to strobe, it's not tactical in my opinion! Read the review we published on the Astrolux FT01 for more details. Astrolux is also sold under the Mateminco brand, so the equivalent is the Mateminco TK01! It's quite an impressive performer, and it's also looking good. Althought I must admit that the Astrolux is on the border of being a real 'tactical'. 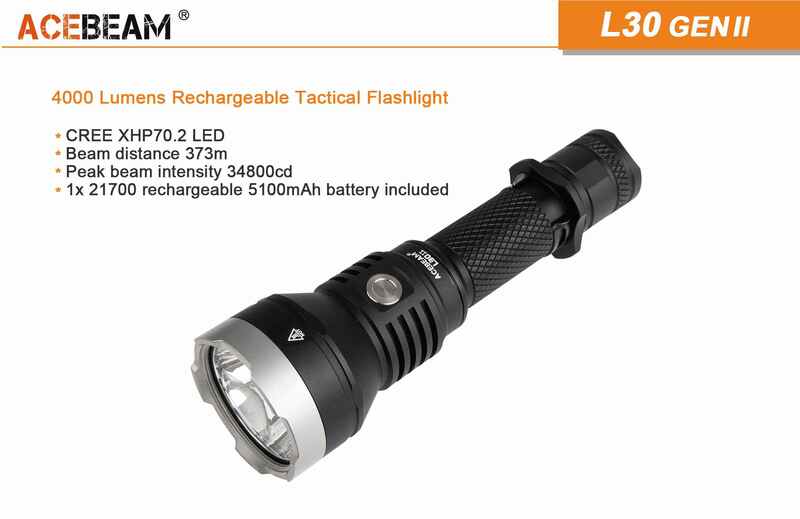 Premium 18650 flashlight produced by Jetbeam! Automatic step-down when battery runs down. We reviewed the Jetbeam TH20 and it is definitely a very impressive light. Jetbeam produces one of the best anodized flashlights on the market with great finish. The TH20 is a little on the big side, but highly recommended. Its light source is a CREE XHP70.2 LED emitter. The battery included is a high amp 18650 battery and can handle high currents very very well. The included holster finishes this beautiful light. The few cons with the flashlght is that its glued so you can't easily take the driver out or mod it. Check out the review for more info on the Jetbeam TH20. If you are looking for more than just a great bedside light that gives you instant access to strobe, this is one to look out for! Powerful 18650 flashlight produced by Nitecore MH25GTS! Limited edition of a long time seller! Fenix has introduced the limited edition cerakoted Fenix PD35 TAC s one of the most popular tactical brands on the planet. It is actually 2 flashlights in one, with the 2 types of mode groups. The Tactical and Outdoor mode. The Outdoor mode works just like a standard flashlight with 6 different output modes. The Tactical mode gives you direct access to Turbo mode to blind anyone within a 100 yards distance. Amazon doesn't carry these ltd editions except for the regular Camo version. Is durability the key? Do you want a light that is built like a tank? Then consider getting the Malkoff MDC Bodyguard. This flashlight was designed for use with two primary lithium CR123 Battery, or one rechargeable Li-ion cell. Best balance of performance/runtime is achieved with a High Drain 18650 rechargeable Li-ion battery. The input voltage is 3.4 - 6 volts. Input voltages of more than 6 volts may damage this flashlight. The Malkoff MDC is also protected against reverse polarity. The Malkoff Devices are Made in the USA. Some parts not domestically sourced. If you are looking for a durable light with lifetime warranty, this is the one to get. Check out the Malkoff MDC Bodyguard review for more indepth information. A 2019 model of Klarus claiming 4000 lumens! Battery: included 5000mAh 21700 Lithium Ion battery. 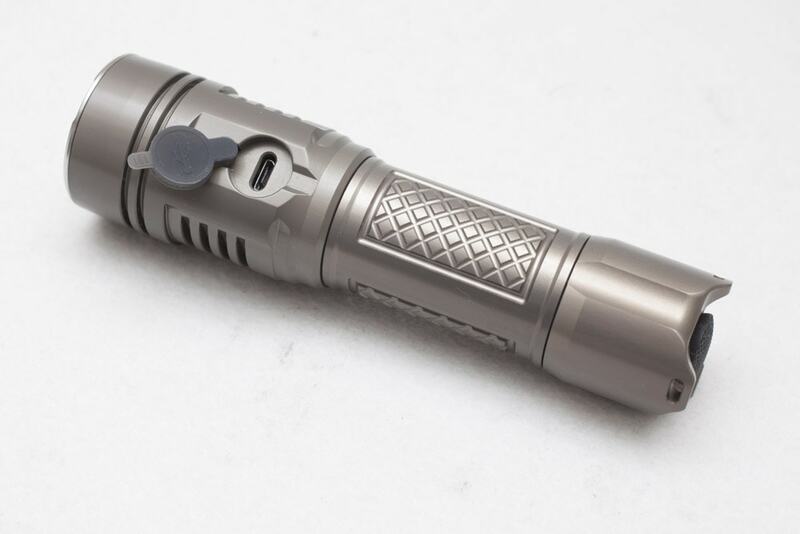 The Klarus XT21X is the second brightest tactical torch in the list. Claiming 4000 Lumens off a single 21700 battery. 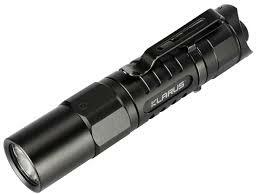 This is also Klarus' first 21700 tactical light! Klarus being a long-time seller in the flashlight market, the XT21X is their first 21700 tactical flashlight with a Tactical setting and an Outdoor setting. Besides Fenix , KIarus is one of the few brands that focus on Military lights a lot. Its tactical setting has 2 modes, On-touch Strobe and One-Touch-Turbo... exactly as it is supposed to be. Outdoor setting on the other hand has One Touch Turbo and One Touch Low. Using the side switch you'll be able to use SOS. Most powerful tactical flashlight on the market! Use coupon code: T2DOLYQT at Amazon for 10% discount. If the code isn't working anymore, please let us know. Acebeam has been following the plough but with brighter flashlights than their competitors. The brand has become very famous very rapidly And the L30 II is one of them. Not only extremely powerful, it can also throw a beam really far. This tactical flashlight is currently the most powerful with a single battery. You can also add a remote pressure switch as well as colored filters to complete the package. First announced in 2017, the second version was announced in 2018. If you want the brightest tactical flashlight on planet earth, this is the one to get! No other brand currently beats the L30 II with its 4000 lumens! 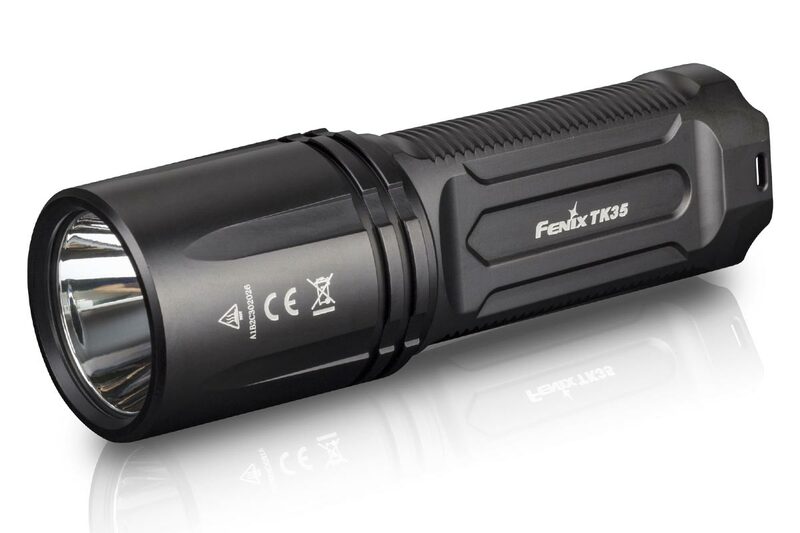 The Fenix TK35 model has been on the market for many many years. During this time Fenix upgraded the LEDs and this edition has the Cree XHP70 high power LED. It also includes a new battery holder for 2 18650 batteries with a built-in USB charger. Unlike many other flashlights where you can simply plug the USB cable into the flashlight, the TK35 has a dedicated battery holder that needs to be taken out in order to charge. Batteries are not included in the package. Before you start shopping around for your new tactical flashlight, you'd better understand what tactical flashlights are! When you start browsing some online shops like Amazon, you'll notice the word Tactical being used rather often. Some sellers call these types of flashilght also Military flashlights, or military grade flashlights. But in reality they are just regular flashlights. So, what make a flashlight a real Tactical Flashlight? 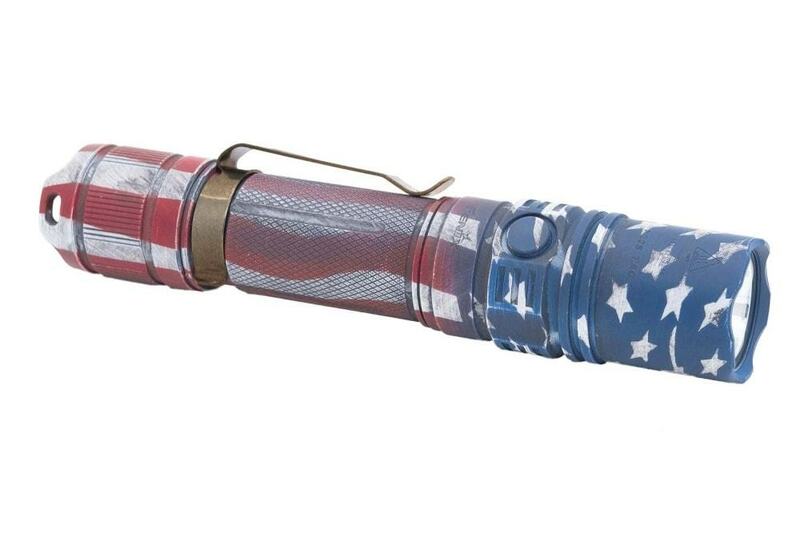 Why are tactical flashlights used by the military or police? Should have 1 button to turn the light on and off with the same brightness! (Regular flashlights with 1 switch usually use the same button to change modes, but that isn't very handy in critical situations) where you should trust your flashlight and not skip modes from high to low for example. Uses a forward clicky at the rear end of the flashlight so you can turn the light on and off without pressing the button completely (a reverse clicky need a complete press and will turn on after the click... and a forward clicky will power the light on before the click) so you can put your thumb on the bottom and decide how long you press the button to use the light, instead of having to click a second time to turn the light off. In most cases they include some kind of strike bezel or crenelated bezel, in order to use it for self-defense or as a non-lethal weapon. Some people suggest it should be able to attach to a pistol or gun. But that doesn't make it a tactical flashlight! Those are weapon mount flashlights.. a different kind! What's the difference between a tactical flashlight and a EDC flashlight? Please read the explanation above first. An everyday carry (EDC) flashlight doesn't need the functionality of a tactical flashlight. They can be great for outdoor activities like camping ,but you shouldn't be using it when you are a first responder. An EDC flashight can have all kinds bells and whistles and up-to-date technology like built-in charging, blutooth connection etc.. An EDC flashlight can usually fit in your pocket since it is meant to be carried throughout the day. A tactical or military flashlight has a few less requirements and only needs a few settings, but you should be able to count on it in all circumstances! Besides being lightweight a tac flashlight should have direct access to turbo and strobe, or at least should be extremely easy accessible. Depending on the situation it should always function in a standard manner. You can't have the light change modes accidentally. Besides this functionality, it should be able to be used in self defense as well. Please read up on a flashlight before buying one, since many are selling tactical flashlights, but in reality are just general lights. Flashlights with more advanced setting and modes are in my opinion not recommended for a military or police light. Many people still think a 1000 lumen tactical flashight is all you need. An that could actually be true in rural areas. If you are looking at just the brightest flashlight, then we have an excellent page dedicated to just that. 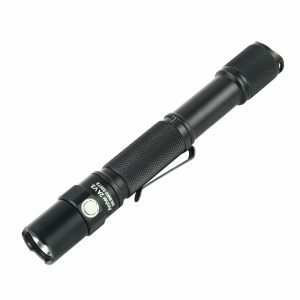 If you are only looking for a tactical flashlights, the Acebeam L16 might be the brightest tactical flashlight with clear intense light coming from an XHP70.2! My first question would be: what for? Do you plan on using 18650 batteries? When will you be using it? Generally speaking the Klarus XT1A seems to be the cheapest of the bunch and still not break the $50 mark. It's the best affordable tactical flashlight. What is the best tactical flashlight under $30? If you are looking for the best tactical flashlight under $30, you are going to have a hard time finding one. Below $30 you get all sorts of lights, but none of the ones you would like to depend your life on. Spend the extra few bucks and get the best tactical flashlight 2019 you can afford!